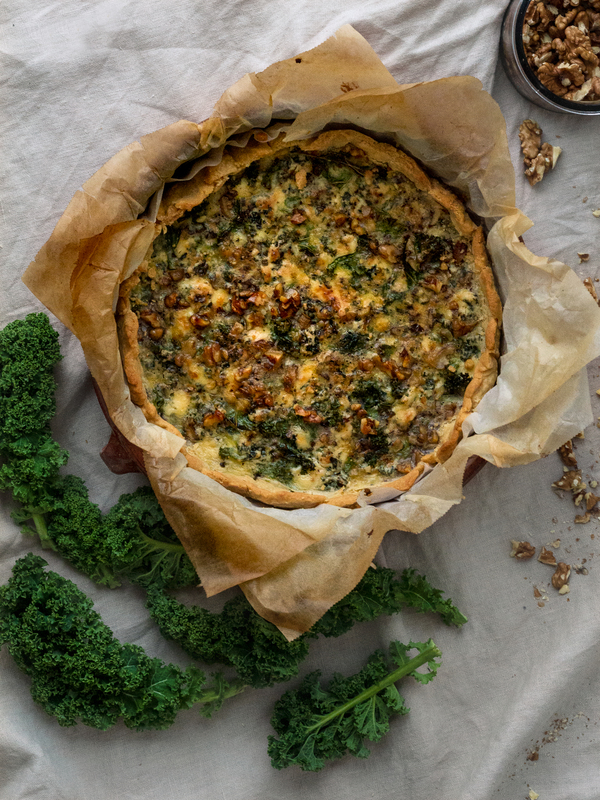 This delicious kale pie recipe comes from my friend and mentor Lotti Ekberg. She has been a huge inspiration for me ever since I started working in television when I was 20 years old. This post is of course about culinary inspiration though, which she has helped me with too. Mainly with this beautiful pie. She uses chard in the original recipe, but I decided to go for kale instead. You can use spinach too if you want to. Homegrown pumpkin seeds are a delicious alternative to walnuts if you want to mix it up. Melt the butter for your pie dough and let it cool down. Put the flour mix in the melted butter. This dough is usually pretty greasy so you can place it in a pie tin without greasing the tin first. Prick the dough with a fork and put the dough in the fridge. Rinse and remove the stem. Chop the kale leaves. Pan-fry the kale in oil. Pre-bake the crust for 10 minutes. Fill it with the pan-fried kale. Crumble the cheese on top of the kale. Scatter the chopped walnuts on top. Whisk eggs and cream and pour over the kale and cheese. 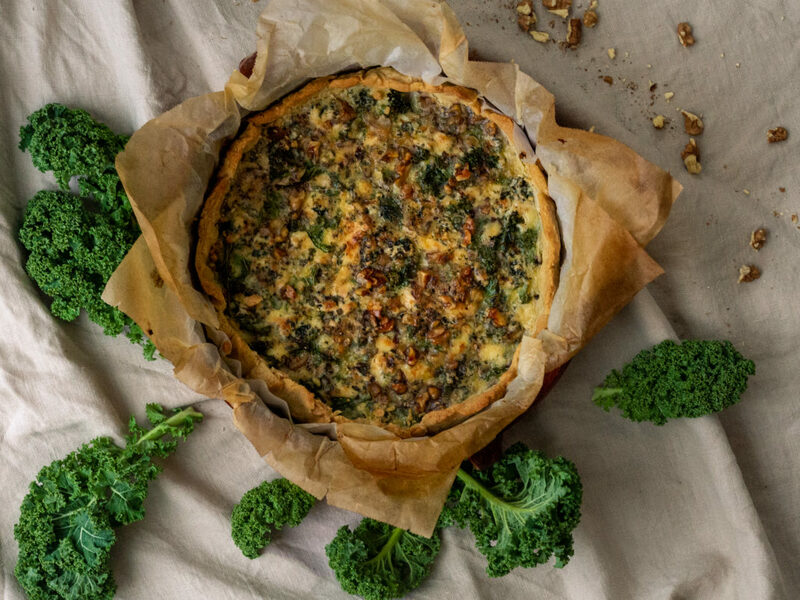 Let your kale pie cool and serve with a tart red cabbage and apple salad.